Uber lost $2.8 billion in 2016. Will it ever become profitable? Share Uber lost $2.8 billion in 2016. Will it ever become profitable? It’s not unusual for a new company to lose money as it seeks market share and traction, but Uber is testing investors’ patience to a degree that’s unprecedented in the history of Silicon Valley. Uber just shared its 2016 financial results with Bloomberg, and they show that the car-hailing app lost $2.8 billion last year — and that’s excluding losses from the money-losing China division Uber sold last August. It’s a staggering sum, and with the company losing almost $1 billion in the fourth quarter of 2016 alone, there seems to be no end in sight. Uber has raised $11 billion from venture capital investors to pay the bills so far, and the company says it has $7 billion in cash on hand and can tap into a $2.3 billion credit line. But if losses continue at their recent pace, even that massive war chest will only last for about three more years. Uber has been repeatedly touted as a new model for urban transportation. But if Uber never becomes profitable, that will suggest a different interpretation: that Uber hasn’t really transformed the transportation market at all. It’s just convinced some gullible investors to subsidize a lot of peoples’ taxi rides. There are some smart arguments on both sides of this debate, but I think Uber may have really figured out how to make the taxi market more efficient. However, this might not actually matter that much in the long run. 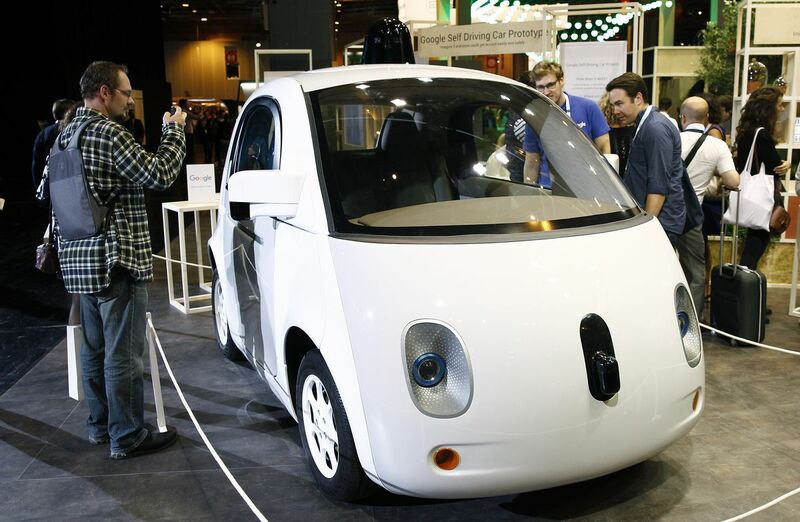 The car industry is on the cusp of introducing self-driving cars. That has the potential to totally transform the industry, and Uber is gambling that its strong position in ride-hailing will give it an equally strong position in a self-driving car market that could be a lot more lucrative. Uber has lost money every year since it was founded in 2009, and its losses seem to keep growing. An obvious interpretation of these results is that Uber’s fundamental business is unsound, and the company will never reach profitability. But it’s important to remember that Uber’s results during its first eight years look a lot like those of Amazon during its early years. Every year from its founding in 1994 until 2000, Amazon lost more money than the year before, leading skeptics to wonder if the company could ever turn a profit. But Jeff Bezos wasn’t just lighting their money on fire. Amazon sold books differently than a conventional book store, using a website and warehouses instead of expensive retail locations staffed by hourly sales clerks. 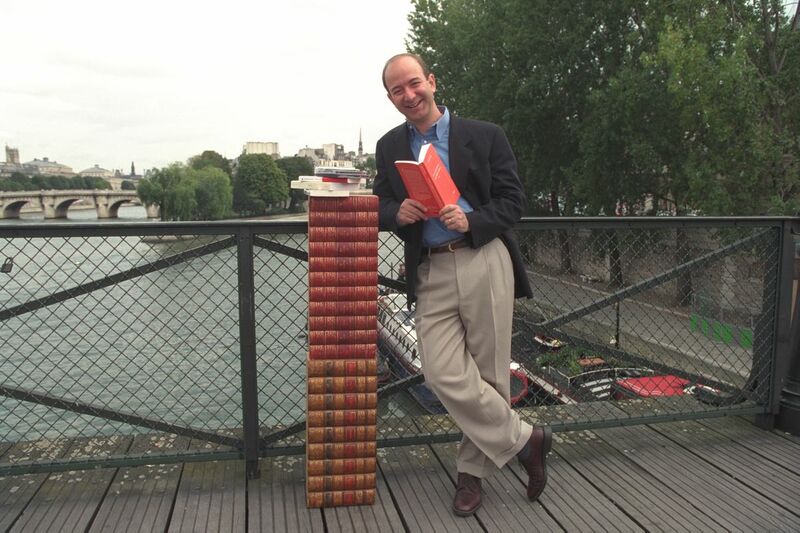 As a result, Amazon’s costs per book sold were always lower than those of Borders or Barnes and Noble. And thanks to economies of scale in software and warehousing, Amazon’s costs per book kept going down as the company grew. Amazon’s unprofitability during the 1990s was an illusion created by Amazon’s aggressive investment in growth. Amazon was spending a lot of money on things like warehouses, new software, and new product categories that were going to take a few years to pay off. The company could have turned a profit earlier by spending less on these things, but Bezos convinced Wall Street that it was worth prioritizing growth over profits (indeed, when investors briefly soured on tech companies after the 2000 stock market crash, Amazon shifted to a lower gear and turned a modest profit in 2001). The optimistic case for Uber says that it’s just pursuing an even more ambitious version of Amazon’s strategy — that Uber’s core business is sound, but Uber is investing heavily in things like expanding to India and developing self-driving cars. Perhaps all that new spending is simply offsetting the profits of the more mature parts of Uber’s business. Without access to detailed financial data, it’s hard to say for sure if this theory is correct. And as a privately-held company, Uber isn’t under any obligation to publish these details. But at a minimum, Uber’s core business probably isn’t as disastrously money-losing as its top-line numbers suggest. Uber is investing heavily in geographic expansion as well as research and development — and those investments will tend to pull down profits in the short run even as it sets the company up for potentially larger profits in the long run. 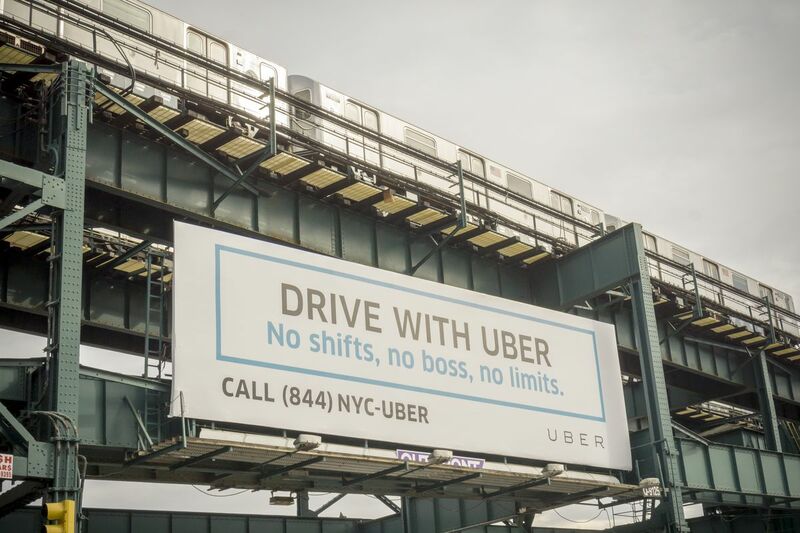 In an epic five-part series of blog posts, transportation industry analyst Hubert Horan lays out the case for skepticism about Uber’s hype. In his view, Uber just doesn’t have a cost advantage over its competitors the way Amazon did. Amazon saved money by getting rid of expensive retail stores and sales clerks. In contrast, an Uber ride still requires a car, a driver, and some fuel just like a conventional taxi ride. So there isn’t much room for Uber to undercut its competitors. Of course, this flies in the face of many customers’ experiences. It sure seems like Uber has figured out how to provide a cleaner, faster ride at a lower fare. But Horan argues that this is entirely a reflection of the subsidies provided by Uber’s investors. Uber rides aren’t actually cheaper to provide than conventional taxi rides, Horan believes, it just seems like it because Uber is taking a loss on every ride. An obvious objection here is that Uber’s investors are not idiots. They know perfectly well that “lose money on every ride and make it up on volume” isn’t a viable business model. And when they made their investments, they presumably had access to internal financial data that isn’t available to the rest of us. It seems very unlikely that Uber could convince investors to give it $11 billion to continue pursuing a business model whose numbers didn’t add up. Once it does that, Horan predicts, Uber will enjoy a robust monopoly in the taxicab market. And it will be able to make big profits by raising prices — especially surge prices — and ultimately charging customers more than they were paying before Uber came along. The other possibility — one that seems more likely to me — is that Uber really has figured out ways to make the taxicab market more efficient. I see three big ways that Uber’s model is superior to conventional taxicabs. The most obvious one is that smartphone hailing is inherently more customer-friendly than having to call an old-fashioned taxi dispatcher. The Uber app gives customers a realistic estimate of how long it will take for a car to pick them up. And once a customer hails a cab, it allows him to track a car’s progress. That’s much nicer than the traditional taxicab model where you’d call for a cab and then have to wait an unknown period of time for it to arrive — with no way to track the car’s progress. Before Uber came along, calling a cab was so inconvenient and confusing that many people didn’t even bother. And Uber’s pickup times have gotten even shorter as the company’s fleet has grown. The more drivers a ride-hailing company has on the road, the closer the nearest car will be to any given customer — and hence the less time customers have to wait to get picked up. This creates a virtuous circle: More drivers improve the customer experience, which attracts more customers. And more customers attract still more drivers. In short, Uber is expanding the market for taxi services. 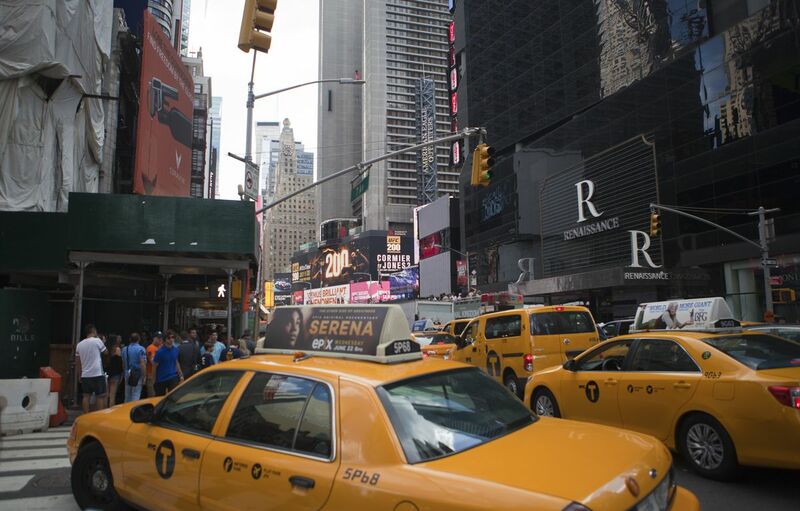 It’s not just taking business away from traditional taxicabs. A similar virtuous circle operates on the driver’s side of the market. As Uber gets more customers, it reduces the average distance a driver must drive to reach a customer — and hence the amount of time they waste driving without getting paid. A larger market also helps to smooth out demand, reducing the average time a driver spends waiting for the next customer call. The result: As Uber grows, its drivers are able to complete more fares per hour of work. And this suggests one hole in Horan’s argument: If Uber can use driver time more efficiently, that really could lead to a sustainable cost advantage. Suppose the greater density of Uber’s network allowed the average Uber driver in a city to complete three fares in an hour, compared to two for a conventional taxi driver. In that case, Uber could charge customers 30 percent less than conventional taxicabs and its drivers would still be able to earn 5 percent more per hour. In economics jargon, this is known as a network effect. It’s the reason that eBay has a stranglehold over the collectibles market and Craigslist dominates online classified ads. Sellers list their goods on these markets because they have the most buyers; buyers go to them because they offer the largest selection. Once a dominant company is established in a two-sided market like this, it’s hard for anyone else to create a viable competitor. Horan is skeptical of this theory, arguing that in the pre-smartphone era there was no tendency for the biggest taxi companies to dominate the market. But it’s possible that the economics of smartphone-based hailing is different from the conventional taxicab market where passengers called a dispatcher on the telephone. Old fashioned taxi dispatchers didn’t have detailed GPS data to determine which taxicab was closest to a particular passenger. Uber’s software does. This suggests a reason Uber is spending so lavishly to gain market share in cities around the world: The company may believe that network effects will make each city a winner-take-all market like classified ads. If Uber allows some other company to become dominant in a particular city, network effects will start working against them and it might become impossible to dislodge them. So Uber is offering lavish subsidies to both drivers and passengers to try to become the dominant taxicab operator in as many markets as possible. In some ways, this dovetails with Horan’s view that Uber is trying to create a taxi monopoly. But there’s one important difference: If Uber’s dominance is cemented by lower costs made possible by network effects, that would imply that Uber could become profitable without ever raising fares to pre-Uber levels. An Uber-dominated market might be a lot more efficient than a competitive one, leaving room for lower fares, higher driver compensation, and healthy profits for Uber shareholders. Ultimately, it might not matter all that much who wins the conventional ride-hailing market, because that market is likely to be transformed by self-driving cars within the next decade. Whether or not you think Uber’s past innovations have given it a cost advantage over conventional taxicab companies, it’s clear that these cost advantages are small compared to the potential cost savings that could occur if self-driving technology becomes available. Driver compensation accounts for more than half the cost of a typical cab ride, so a self-driving car company could charge half of what conventional taxis charge and still make a healthy profit. The real prize in the ride-hailing wars, then, isn’t the conventional ride-hailing market itself. Rather, it’s the opportunity to become the customer’s gateway to the emerging self-driving car market. There are good reasons to think that most self-driving cars will be hailed on demand rather than owned by individual drivers. If that’s true, having the most popular ride-hailing app will be a huge strategic advantage in the self-driving car market. If that’s Uber’s real strategy — and the company is investing heavily in self-driving technology — then the profitability of the company’s existing ride-hailing business might be beside the point. Even if Uber can never turn a profit charging its current fares with human drivers, the company will definitely be able to turn a profit renting self-driving cars at those rates. The big risk for Uber’s investors, however, is that dominance of the human-driven ride-hailing market might not actually translate into a strong position in self-driving technology. If Waymo — Google’s self-driving car subsidiary — or one of the carmakers gets usable self-driving car technology before Uber, it might not be very difficult build a rival ride-hailing app. And then the billions Uber has spent to dominate the human-driven ride-hailing market might prove to be wasted.